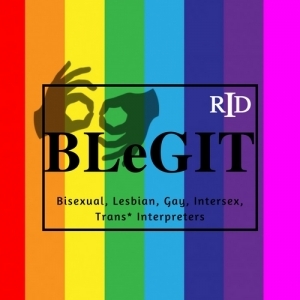 It is the mission of the Bisexual, Lesbian, Gay, Intersex, Trans* Interpreters/Transliterators (BLeGIT*) Member Section to be a forum for discussing current interpreting issues, provide information and resources for professional development opportunities and provide a professional and positive venue for discussing topics specific to the BLeGIT* community. All are welcome!! Click to see minutes from the 2015 meeting at RIDNOLA15 (link).